AT&T just spent $85.4 billion on Time Warner, which according to our calculations is a whole heckin' lot of money. With that in mind, it's not looking like a coincidence that the company has been inching up its fees. According to a report by Fortune, AT&T quietly changed the "administrative fees" on monthly phone bills, upping them from 76 cents to $1.99. As Gizmodo points out, AT&T has 64.5 million monthly wireless customers, all paying that increase 12 months a year. It adds up. In fact, it adds up to roughly $800 million. There have been two separate price increases in the past three months, starting back in April with 50 cents and then another 73 cents in June. If you're on the tradition post-paid plan, this price increase is likely affecting you as it applies to 85% of post-paid customers. If you use a pre-paid account though, you won't be affected. 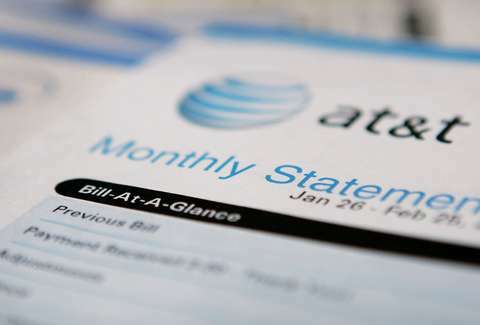 "This is a standard administrative fee across the wireless industry," AT&T told CNBC, "which helps cover costs we incur for items like cell site maintenance and interconnection between carriers." According to CNBC, acquiring Time Warner put AT&T's net debt at roughly $60 billion, and this little increase could take care of $10 billion of that. It's unlikely that this increase will impact your life too much. But that's at least a pack of gum?